Meet Edgar is one of the hottest and most useful evergreen content scheduling tools on the market today. But its cost and feature set mean it’s not exactly a perfect fit for every business and brand. That’s why finding the right Meet Edgar alternatives is a worthwhile endeavor that could save you time and money in the long run. You’ll still get the content automation you need, but at a price point and with a feature set more in line with your requirements. Broadly speaking, Meet Edgar and all of its alternatives are tools that schedule and automate the generation of content. If you’re responsible for dozens or even hundreds of social media accounts, the value of such tools is difficult to underestimate. But in February of 2018, Twitter updated its terms of service and stepped up its enforcement of what it considers to be “spammy” content. This means that most scheduling and automation services—including Meet Edgar and its alternatives—have had to change the way they delivered content to Twitter. It’s very important that you select a Meet Edgar alternative that complies with Twitter’s newly enforced terms of service. I highly encourage you to get up to speed on the new rules and what they mean because simply ignoring them could result in Twitter suspending your account, which isn’t helpful for your brand at all! For a quick guide to help you understand the rules, check out What Twitter’s New Rules Mean for Social Media Automation. You should also take a look at our guide to How to Automate Social Media Without Killing Engagement. 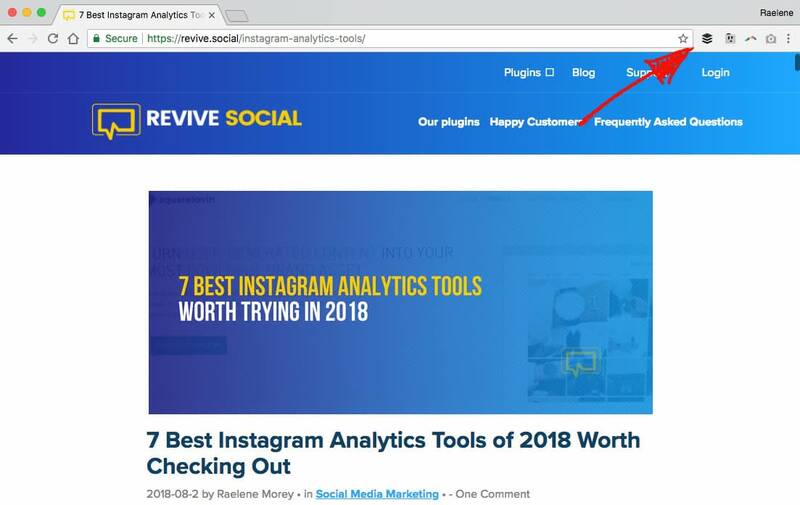 Any good content automation tool is going to offer several services and functions designed to make it easier to get your blog updates, social media posts, and marketing messages into the marketing ecosystem. The trick is figuring out which tool is going to offer you the best combination of price point and utility for your business. AgoraPulse is perhaps most well-known for offering users an all-in-one dashboard for post feeds, conversations and engagement. 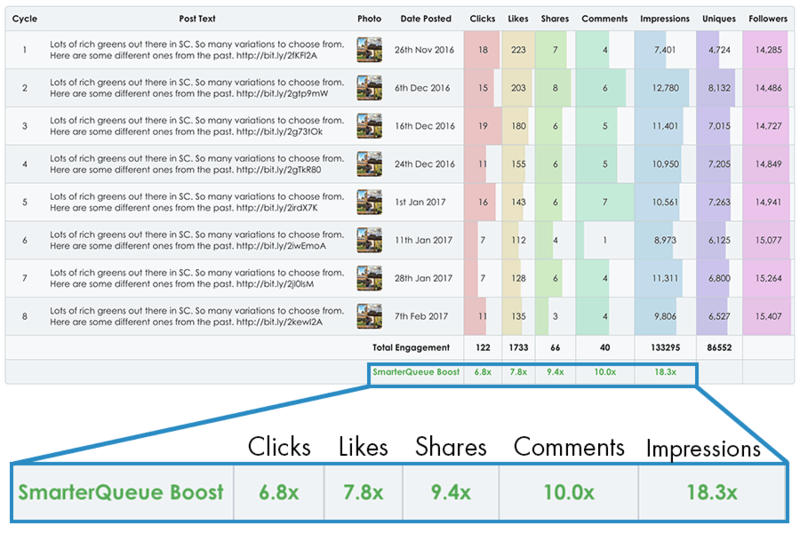 This makes it incredibly easy for marketers to stay on top of each social media account and every interaction with users, fans, and followers. What’s more, AgoraPulse gives you the ability to tag users that seem to be receptive to your messages so you can reach out to them later. But AgoraPulse is more than just its high-efficiency dashboard. This content automation tool will also gather data about which users interact with your brand most often. 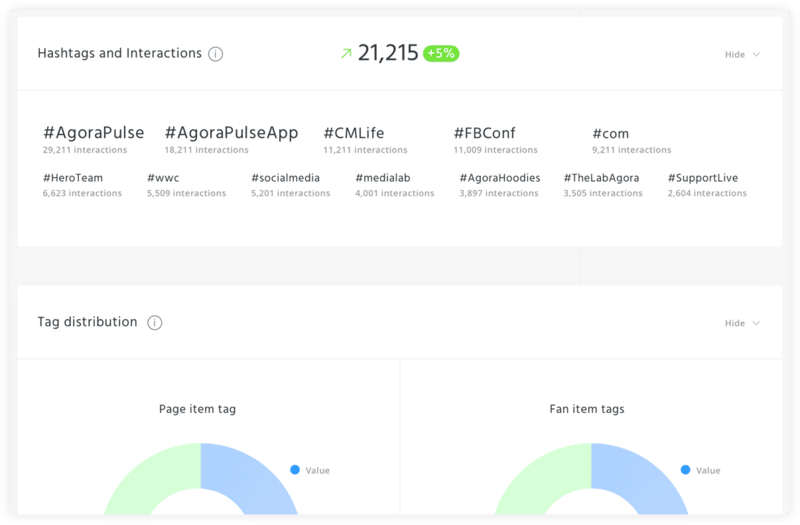 Once you know who your biggest fans are, AgoraPulse makes it easy to track how your posts perform with those fans compared to, for example, organic users. The third big reason why AgoraPulse is one of the best Meet Edgar alternatives is just how well-integrated into Facebook it can become. AgoraPulse works well with almost every social media platform, including Twitter, Instagram, LinkedIn, and Youtube. But AgoraPulse plays especially nice with Facebook, even integrating a wide variety of Facebook Apps. Is this tool a good fit for me? If your marketing strategy involves reaching out to fans and creating influencers or places a special emphasis on continued engagement, AgoraPulse could be the perfect fit. That’s even truer if Facebook or Facebook apps are especially important to your marketing strategy. Cost: Starts at $39 a month. If your brand or business is looking to put more of the “social” in social media, a tool such as SmarterQueue can be a tremendous asset. Just as with Meet Edgar, users have the ability to import a library of content. But what makes SmarterQueue different is that the software puts the emphasis on “smart” with an incredibly user-friendly dashboard. This dashboard makes it easy to see what content is scheduled, what categories are having successes, and how often you’re posting. 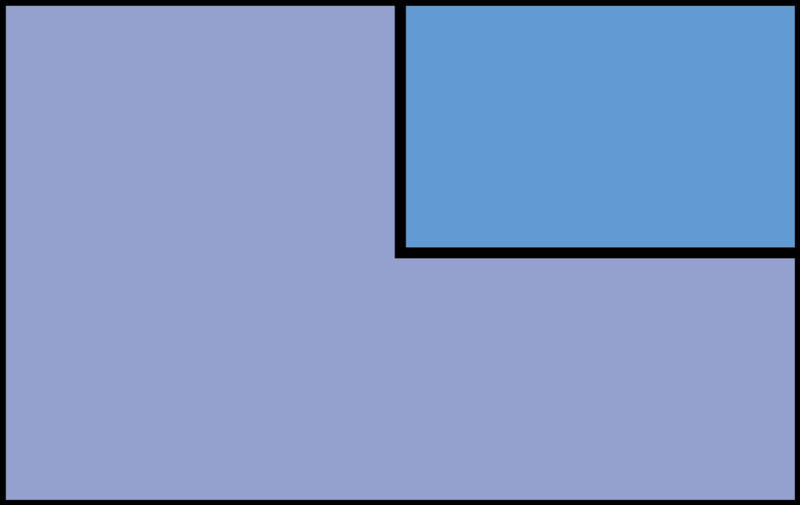 Additionally, SmarterQueue introduces some efficiency into the import process. That’s because you can take content directly from the web and work it into your library. Just copy and paste a URL and SmartQueue will be able to properly display and distribute that content. That makes SmarterQueue a particularly good way to build a content library. Even Meet Edgar advocates will tell you that setup is a labor-intensive process, so the fact that SmarterQueue makes it a priority to streamline this process makes this one of the most popular Meet Edgar alternatives among both marketers and businesses. 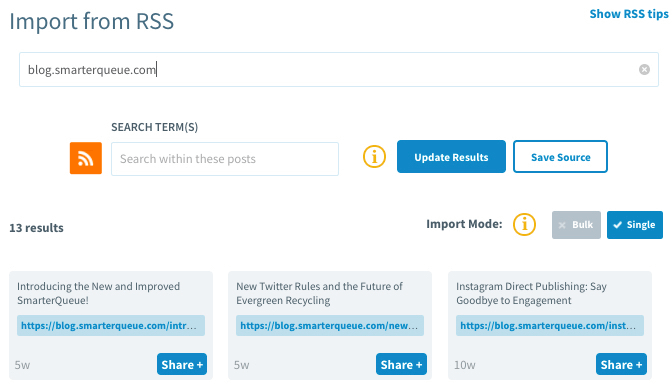 All you have to do, then, is assign a category to your content and tell SmarterQueue how often you’d like that category to pop up on a given social media feed. That content then becomes “evergreen” and you almost never have to worry about it again. You can also keep track of how those categories perform because SmartQueue can generate analytics reports based on precisely that information. SmarterQueue does take some initial setup time to get right, but once it’s established it can keep your social media content fresh with minimal effort. Using the URL import tool can make building your library efficient and intuitive. If your clients need that new content every day, SmartQueue is a great way to get ahead of that curve. Cost: Starts at $19 a month. If the Meet Edgar alternatives mentioned already seem a little too advanced for your needs, you might want to consider taking Buffer for a test drive. Buffer is a content scheduling and management tool that caters to a wide range of clients. That’s not to say Buffer isn’t powerful. As with other Meet Edgar alternatives, Buffer allows you to create a library of content. 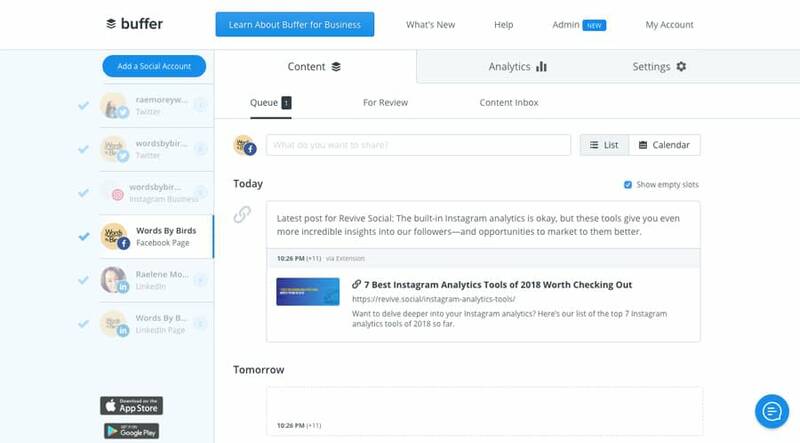 Once the library has been created and you tell Buffer how often you’d like content to be published and posted, you’ll be able to get away from manually posting or scheduling each individual post (although Edgar lets you do that as well). Buffer adds to the utility of this tool by telling you what times of day will be most popular to post that type of content. It’s simple enough to access all of this data due in part to Buffer’s easy-to-use browser extension. Available exclusively for Chrome, this browser extension makes it easier to log and store content while you’re browsing from the browser itself, with an emphasis on Buffer’s easy-to-use ethic. 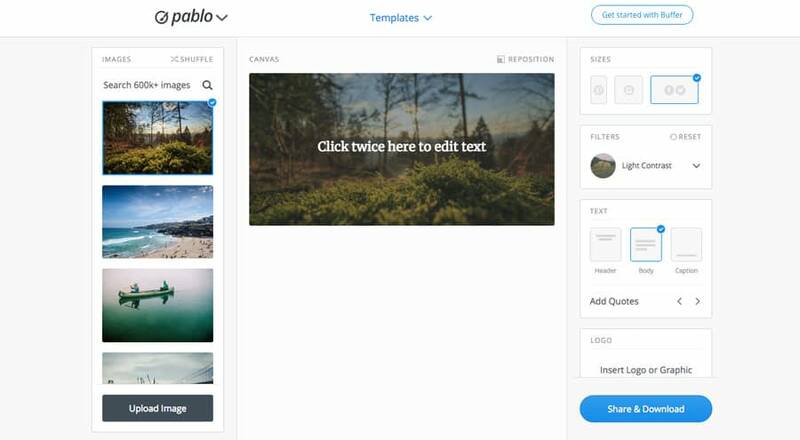 One of Buffer’s most used (and imitated) tools is an image creator fancifully named Pablo (we would assume after Pablo Picasso, the artist). Pablo can help users create images specifically for use on Facebook, Twitter, Pinterest, and Google Plus, significantly cutting down on the amount of time you have to search for stock images. Any kind of image generates substantially more engagement on social media, which makes Pablo vital to many brands and businesses. Generally, Buffer is a great tool for straightforward needs and clients. It’s easy to use but doesn’t offer quite the analytics or features that differentiate more robust tools. Still, its price point and ease-of-use make it an excellent beginner tool with lots of room to grow as a Meet Edgar alternative. Cost: Free and Pro plan starts at $15 a month. The world runs on deadlines. 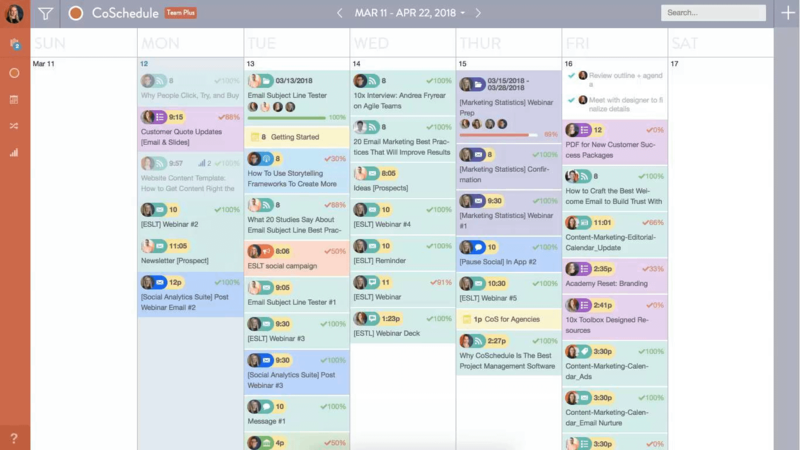 CoSchedule takes a calendar view and applies it to all of your content management needs. In fact, CoSchedule’s default dashboard is, you guessed it, a giant calendar. For marketing departments, brands, and businesses that live and die by the deadline or have a large number of moving parts, this can be especially beneficial. As marketing initiatives and strategies become more and more complex, keeping track of all of those moving parts can become ever more challenging. CoSchedule’s calendar dashboard makes it easy to keep track of all those moving parts, improving your ability to leverage your evergreen content at just the right time. 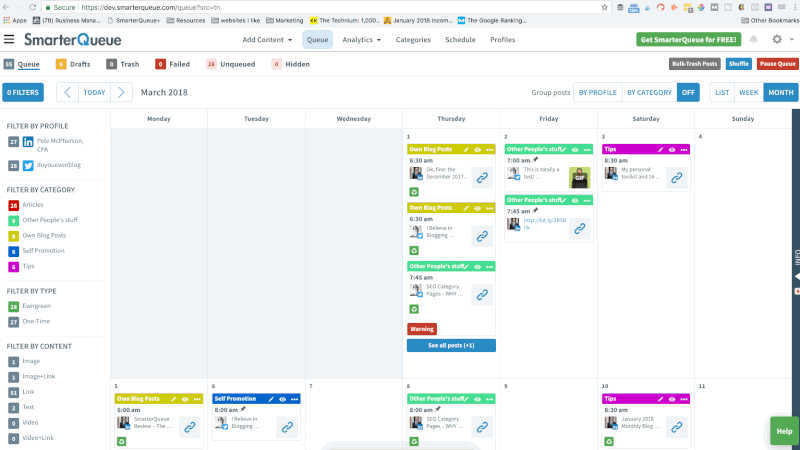 One of CoSchedule’s greatest strengths as a Meet Edgar alternative is that you can use this tool to schedule and project plan for your entire marketing campaign, not just your social media calendar. That way, you can see your social media and content strategies within the larger context of your marketing plan. Nearly all of these elements are color-coded on your calendar, making it easy to see what’s happening when. The drag and drop functionality makes rearranging this calendar easy and intuitive. CoSchedule also helps you optimize your content. 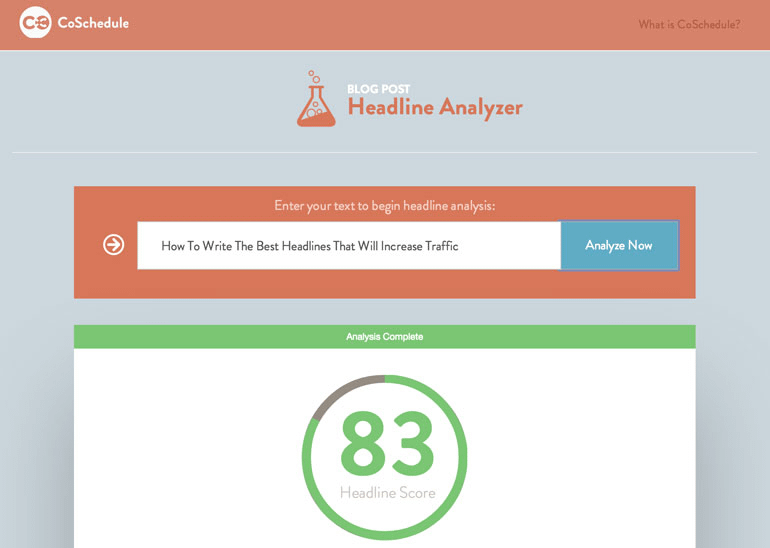 Their Headline Analyzer tool is one of the best in the business so you can get the most out of your content. From social media to blog posts to RSS feeds, headlines are possibly the most eye-catching content you’ll ever write. CoSchedule helps you do that. And because this tool integrates so easily with other tools, you can find efficiencies and synergies throughout your marketing ecosystem. CoSchedule is designed to help streamline complex marketing operations, although they do have individual plans. If your social media plan is heavily dependent on the larger context of your marketing strategy, CoSchedule might be a great tool for you. Cost: Starts at $20 a month. The rather whimsically named SocialOomph was originally conceived as a tool for finding friends on Twitter, so it’s no surprise that this tool still finds itself one of the most effective options for managing Twitter accounts. That’s not to sell SocialOomph short in any other area—they offer robust services for managing Facebook, LinkedIn and Google Plus accounts. They’ll even let you manage your blog posts. But SocialOomph really shines as one of the best Meet Edgar alternatives when it comes to managing Twitter accounts. 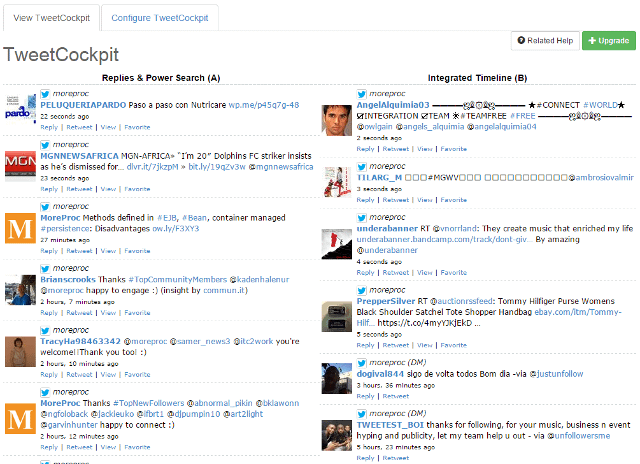 If you’re using SocialOomph’s TweetCOCKPIT, you can manage all of your Twitter accounts from one place. You can also integrate all of the timelines of all your Twitter accounts so you can be sure you aren’t missing out on anything. And if you’re really using Twitter, SocialOomph is great because this tool lets you manage an unlimited number of Twitter accounts. SocialOomph’s primary focus might be on Twitter, but that’s not the only strength of this particular tool. Many busy project and marketing managers love SocialOomph because of the way it integrates with other tools, such as email. You post to Facebook or read DMs all over email, making SocialOomph easy to work into your daily marketing routines. Is this the right tool for me? If your marketing strategy employs Twitter as its primary (though not necessarily exclusive) means of social media outreach SocialOomph is going to be an easy decision. SocialOomph is also great if you want to build in some of your own features or make some of your own changes, but it’s not the most simple platform available. Cost: Starts at $35.94 a month. Do these alternatives compete with Meet Edgar? Meet Edgar is easily the most popular and perhaps the most complete evergreen content management system. But that doesn’t necessarily mean it’s going to the best solution for every brand, business, or marketer. All of these Meet Edgar alternatives can compete with Meet Edgar because they offer unique strengths that might suit your needs better than a more popular or well-known tool. Most of these tools (although not all) offer some kind of free trial period, so if you don’t like the options or feel of a specific software, you can always switch to a different one. That said, all of these tools have one thing in common: you get out of them what you put into them. The more you fill your queue or your content library, the easier these tools can make your marketing life. In other words, these five viable Meet Edgar alternatives could save you time and money in the long run.